Every voter must decide which party or candidate better reflects his or her perspective on the issues. 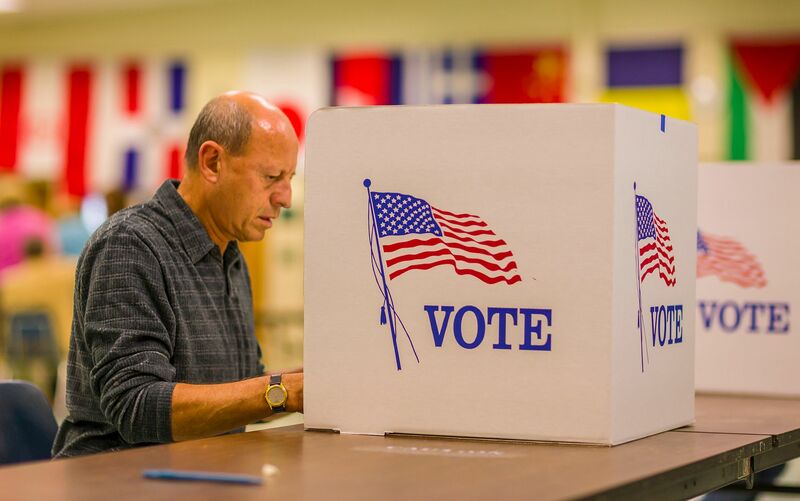 According to polling, Supreme Court appointments, health care, the economy, gun policy immigration, entitlements and taxes are the top issues that are most important to voters ahead of the Nov. 6 midterm elections. Where do the parties stand on these most critical issues? The U.S. Senate votes to confirm new appointments to the Supreme Court. This should not be a partisan debate and has only recently become so. After all, judges don’t — or shouldn’t —wear blue or red jerseys, but only black robes, meaning they should be independent and focus solely on interpreting the law. But sadly, now that the court has become more political, it is not unusual for confirmation votes to split mostly on party lines. Whichever party controls Senate will have a big impact on which appointments are made and confirmed. President Trump has already nominated Justice Neil Gorsuch and Justice Brett Kavanaugh, who were confirmed by votes of 54-45 and50-48, respectively. And he may get the chance to nominate one or two more people to the Supreme Court. The U.S. Senate will decide if those potential nominations are confirmed. The two parties have very different visions on health care. Republicans have repeatedly promised, but so far have failed, to make major legislative changes to reverse the ill effects of the Affordable Care Act, also known as ObamaCare. They want to roll back regulations on health insurance, opening up a wider selection of more affordable options for coverage, alongside strong state-based programs to protect people with pre-existing conditions. The GOP has demonstrated their commitment to individual choice by zeroing out the individual mandate, repealing the Independent Payment Advisory Board and expanding access to short-term and association health plans. These options that will save some consumers about $9,700 annually and will reduce the number of uninsured by about one million people each year. About half of Democrat candidates are running on the idea of “Medicare for All,” or a single-payer health system where taxpayers would fund the cost of care for everyone. This would bring dramatic change to our current insurance marketplace. And it would mean the end of employer-sponsored plans and Medicare with Advantage plans. It would bring health care rationing in the form of longer wait times and reduced drug and treatment choices for patients. The economy is currently firing on all cylinders: unemployment is at record lows. Small business optimism is hitting record highs. The consumer confidence index just reached an 18-year high. Worker pay and benefits are increasing at the highest rate in 10 years. Republicans argue that this progress is the result of tax reform and the reduction of red tape that has occurred during the last two years. Democrats argue that these gains would have happened anyway and want to reverse many of the economic policies put in place during the last two years. With another tragic mass shooting in the news, Americans are likely to be thinking about guns and safety — as well as politically and racially motivated violence — during this midterm election cycle. Democrats generally favor tougher gun control laws to make it harder for people to obtain guns legally, while Republicans want to address violence in other ways, like boosting public safety measures. While violence is always a concern, neither party should seek to use tragic events to political gain. Medicare, Social Security and taxes were essentially tied for fifth place as top issues. Entitlement reform is badly needed to address budgetary shortfalls. 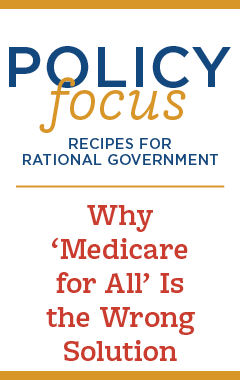 But reforming Medicare and Social Security (which, by the technical policy definition, are entitlements because enrollees are legally entitled to their benefits) is hard. Presidential advisor Larry Kudlow has signaled that the administration would look at these “larger entitlements” in 2019 in order to control their costs and some congressional Republicans would like to do so. Most Democrats do not want to touch entitlements, preferring to stick to the status quo or even to expand benefits to make them more generous to beneficiaries (and costly for taxpayers). As far as tax reform, the Tax Cuts and Jobs Act is the biggest GOP legislative win since 2016. The law has resulted in four million Americans getting raises and bonuses, as well as myriad other positive economic developments. Growth has been at 3.5 percent in the third quarter of 2018 and 4.2 percent in the quarter before that. The GOP is looking add more gas to our economic engine with tax reform 2.0, which would make the individual income tax cuts in version 1.0 permanent. On the other hand, Democrats would like to undo the Tax Cuts and Jobs Act and increase the corporate tax rate to 27 percent. As a caravan of migrants makes their way to the southern U.S. border, the issue of immigration will take a higher and higher profile in our national discourse. But the issue has been on voters’ minds for sometime: The foreign-born share of the U.S. population (13.7 percent) is higher now than it has been since 1910. While immigration can have positive effects both culturally and economically, it also comes with downsides for specific groups, especially low-skilled American workers whose wages decrease as they compete with immigrants for labor. Republicans want immigration reforms to better prevent illegal immigration and limit how many people enter America. Democrats generally do not favor these policy proposals, preferring less restricted immigration. As always, people with good hearts and sound minds can disagree on matters of public policy — and many do. But we can all agree that voting is important, especially when there is so much at stake. In the days running up to election 2018, take the time to learn who the candidates are in your district and mark your ballot in accordance with your conscience — happy voting.